Established almost 20 years ago, Maple Air offers a deep inventory of products related to heating, cooling and air quality needs. Firm believers in service, honesty, and customer satisfaction, Maple Air offers great prices and exceptional customer support measures for furnaces, boilers, air handlers, and tankless water heaters. One of the many unique elements that allows Maple Air to stand out from the other heating and cooling companies is their commitment to customer service. To that end, the company offers a 24-hour live emergency customer service hotline. 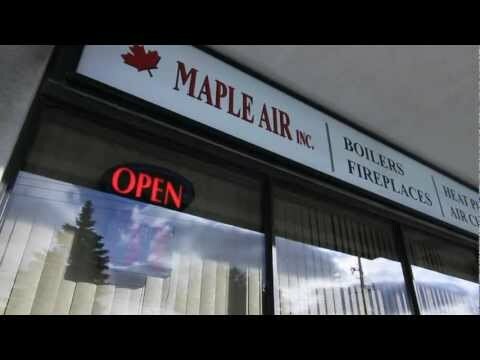 Anything you purchase through Maple Air can receive customer service care through this phone number, and their technicians stay up to date on the latest information concerning Maple Air’s products.